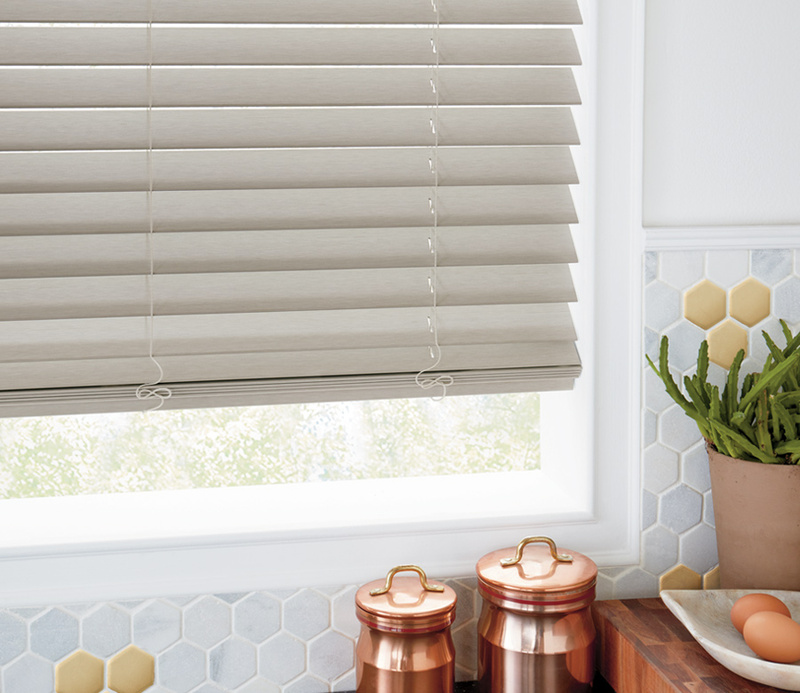 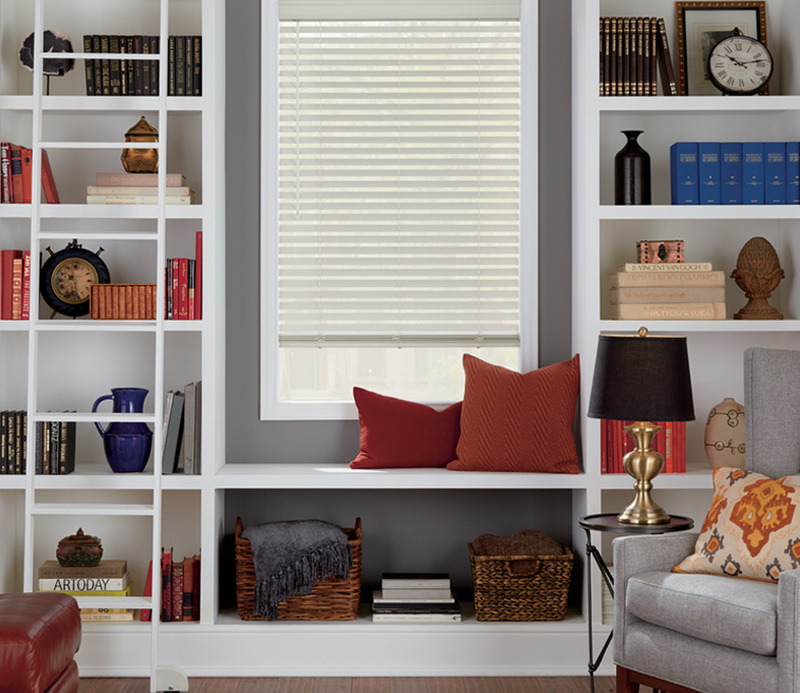 Have you been searching for an alternative to wood blinds? 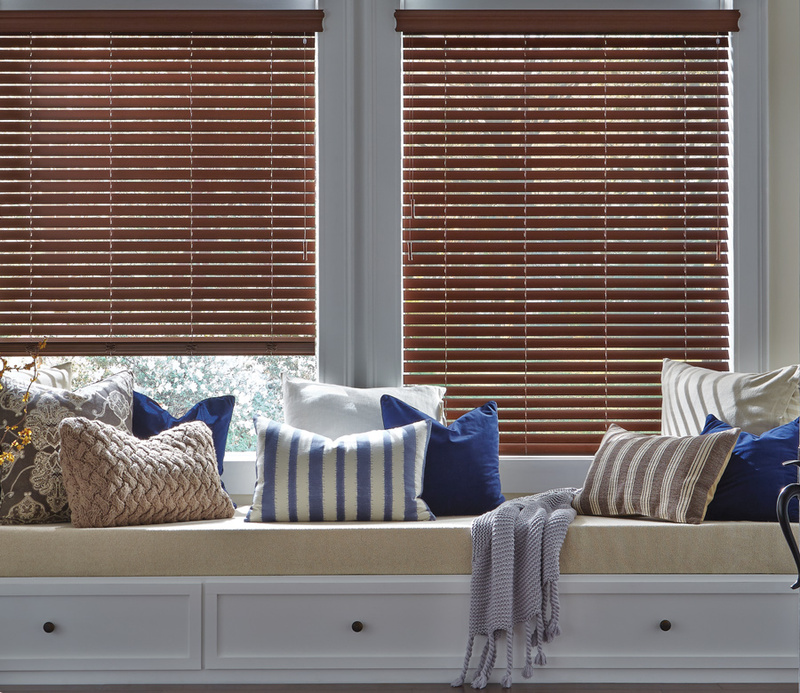 Our faux wood blinds were created with you in mind! 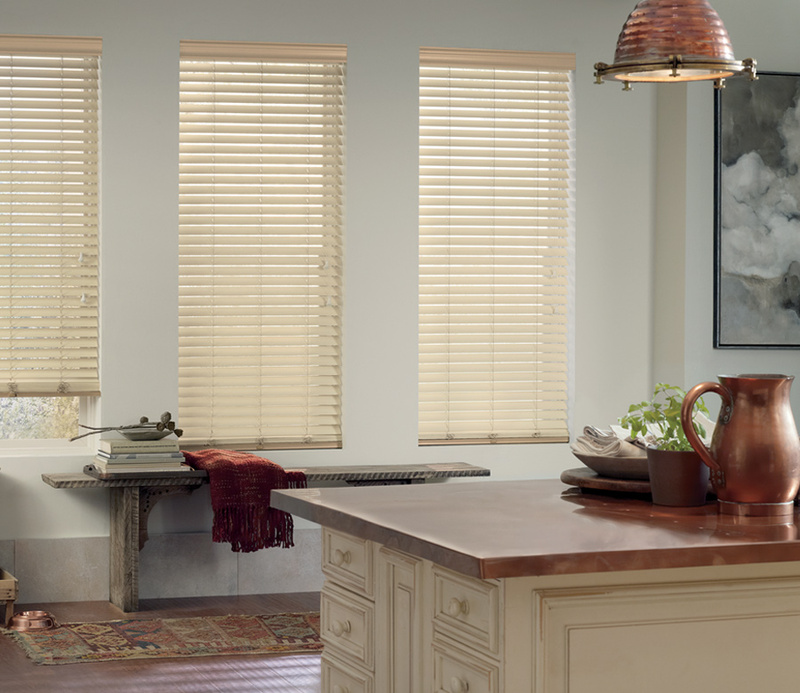 The Everwood collection, from Hunter Douglas, will add style and function to your home, while keeping your budget in mind. 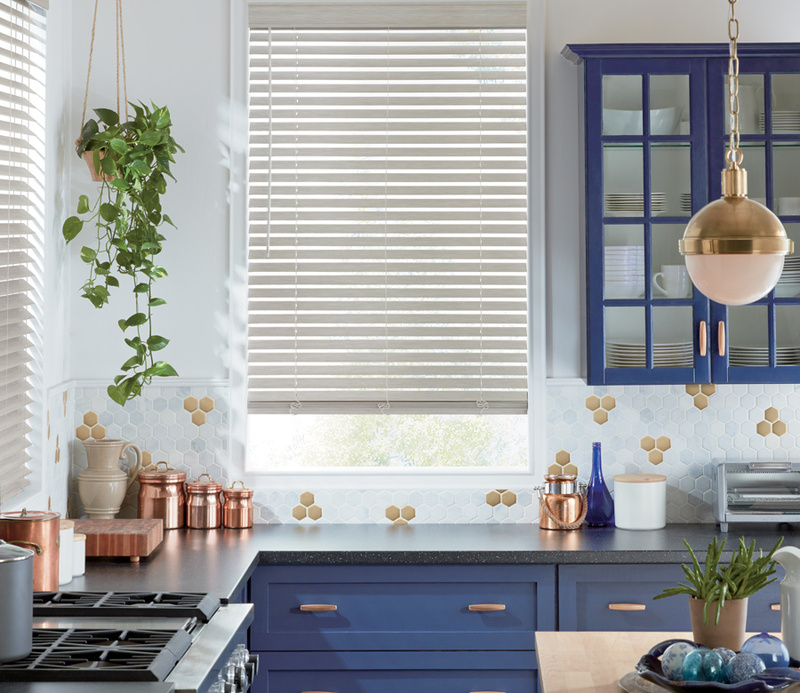 With the option to choose a coordinating color–or, even the wood grain appearance–these window coverings will easily complement your home’s unique decor.